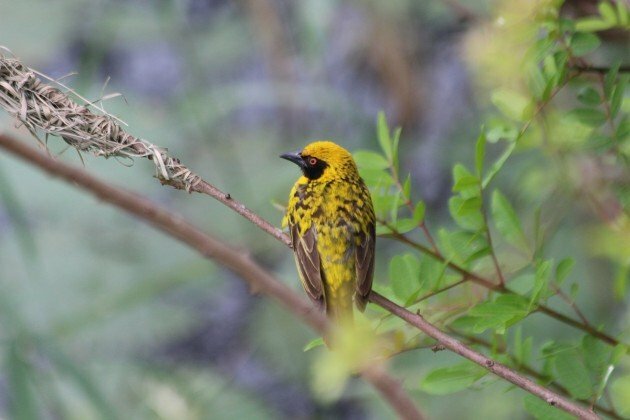 In many ways the weaver family is for Africa are similar beasts to the pseudowarblers of North America (sometimes called wood-warblers). There are a lot of them, they are generally attractive, and prone to being yellow. If anything, some of the weavers take being gaudy to levels unimagined by America’s ‘weavers’, especially when you consider the widowbirds, bishops and malimbes. They are also generally easy to see, especially species that construct huge colonies of woven nests in villages and farms (or even cities). 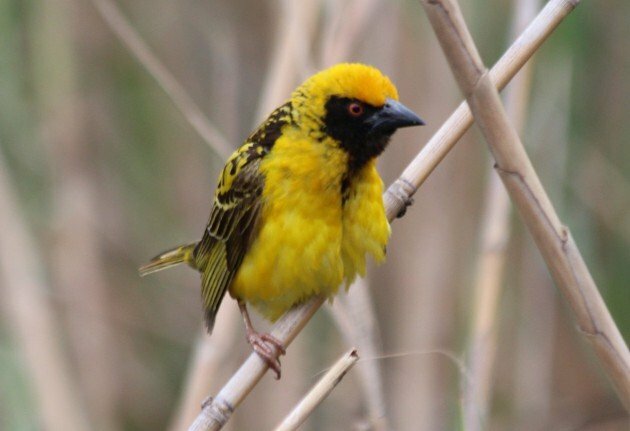 Of course there are differences, as the weavers are typically not very migratory, are much more sexually dimorphic (to the point that many a birder presented with a field of female weavers will shrug and go “who can tell?”) and of course weavers are not silly, unlike American warblers. There aren’t many galleries of weavers on this site, mostly because Corey lives in in Queens and not Johannesburg or Mombasa (or Cape Town, where he could also add some albatrosses to his year-lists). This situation may change as more species become established around the world. 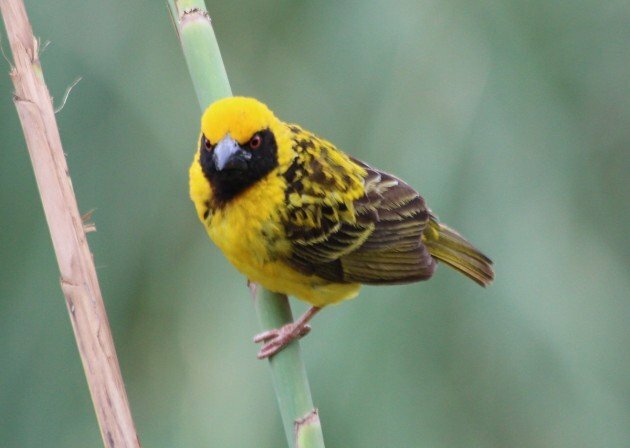 In the meantime, in order to rectify this I present some images of the Village Weaver, a widespread African species that ranges from Senegal to Ethiopia and down to South Africa. As their name suggests they are happy enough to live close to human settlements. 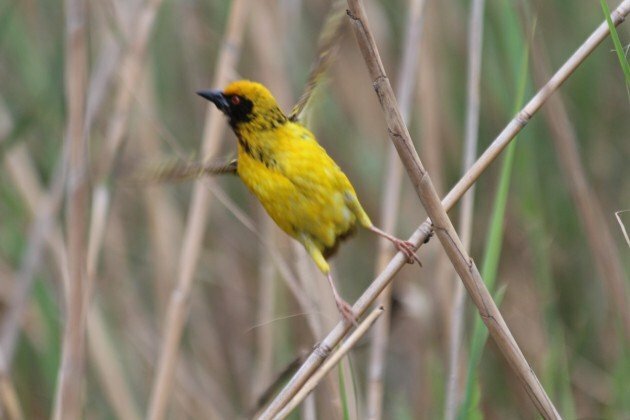 These shots were taken on a pond in a hotel in Zululand, but you can find them nearly anywhere in their range. 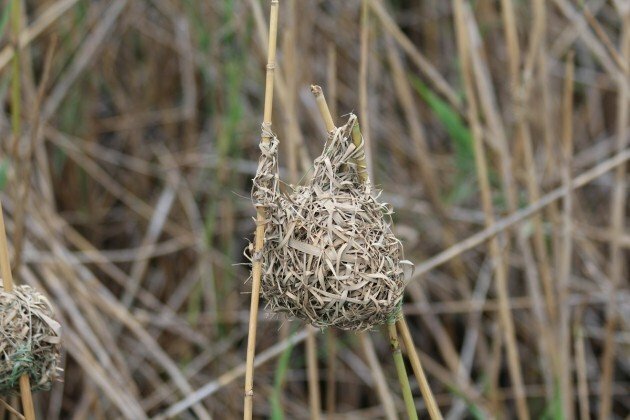 They also have messy nests for the family. I might have photos of the females, but honestly, who can tell? Village Weavers. It’s fun to bird at the YMCA! And Duncan, although I completely agree with your first paragraph, May is over now and so should be the bashing of wood-warblers by us non-Americans. But boy, did your post make me laugh! 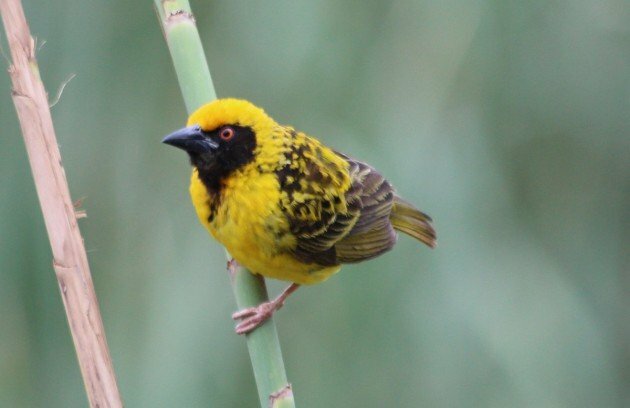 Great photos of a lovely bird! That is one pissed off-looking bird!